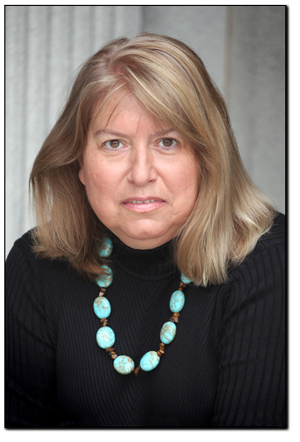 Please click here for more information on how to book Linda for a speech. Linda Killian is a Washington author, journalist, political analyst and activist. She is a nationally-recognized expert on independent voters and was the founder and executive director of Independent Americans United. Linda has been a regular featured contributor to the Wall Street Journal's "Washington Wire". She also writes for The Daily Beast, The Atlantic and Politico. She has been a senior scholar at the Woodrow Wilson International Center for Scholars and appears frequently as a political analyst on national television. 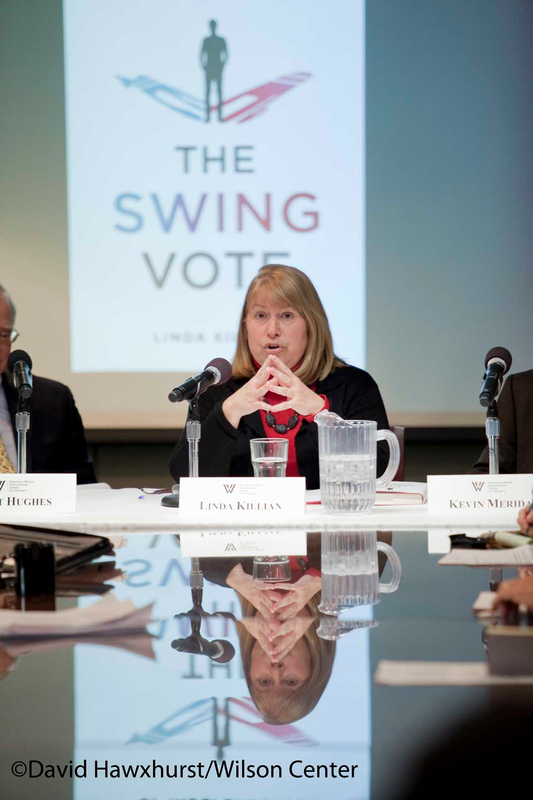 Her book "THE SWING VOTE: The Untapped Power of Independents", published by St. Martin's Press, features interviews with hundreds of citizens, activists and public officials around the country and paints a vivid portrait of the swing voters. She focuses on four key swing states - Colorado, Ohio, New Hampshire and Virginia - that were critical in the 2012 election. Killian presents a new model of the swing voters and reveals four key swing demographic groups - NPR Republicans, America First Democrats, The Facebook Generation and Starbucks Moms and Dads. She describes the intense disappointment and frustration these voters have with the political system and the two parties. She also examines the heightened polarization of Democratic and Republican elected officials and their inability to deal with our nation's most important problems. In "THE SWING VOTE" Killian offers solutions for fixing our broken political system and ways for the Independent voters to make their voices heard. This is not only a timely shot across the bows of both parties but an impassioned call to Independents to bring America back into balance. She has also written for U.S. News & World Report.com. and Politics Daily and has appeared as a political analyst on MSNBC, The NewsHour on PBS, C-SPAN's Washington Journal and AfterWords, Current TV's The War Room with Jennifer Granholm and The Young Turks, Hardball with Chris Matthews, and the Fox News Channel. She was a member of CNN's 2012 "Out Front Political Strike Team" and has been on WNYC's The Takeaway, Sirius Radio, WHYY in Philadelphia and on National Public Radio public affairs shows in Miami, Detroit, St. Louis, Cleveland, Columbus, New Hampshire, Maine, Connecticut, San Francisco, Seattle, Portland, Chicago and Boston, Minneapolis and Los Angeles. She is a frequent speaker on national politics and public affairs and her work has also appeared in "The Washington Post", "The Los Angeles Times", "The New Republic", "The Weekly Standard", "The American Spectator", "The Christian Science Monitor", "The Boston Globe", "Redbook", "Washingtonian" and "People" magazines. 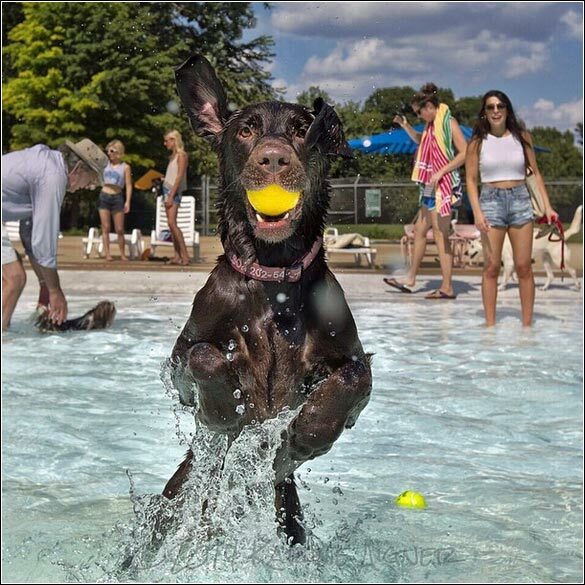 Here are some pictures of 'Wilson', Linda's two-year-old chocolate Labrador retriever, named for Woodrow Wilson. 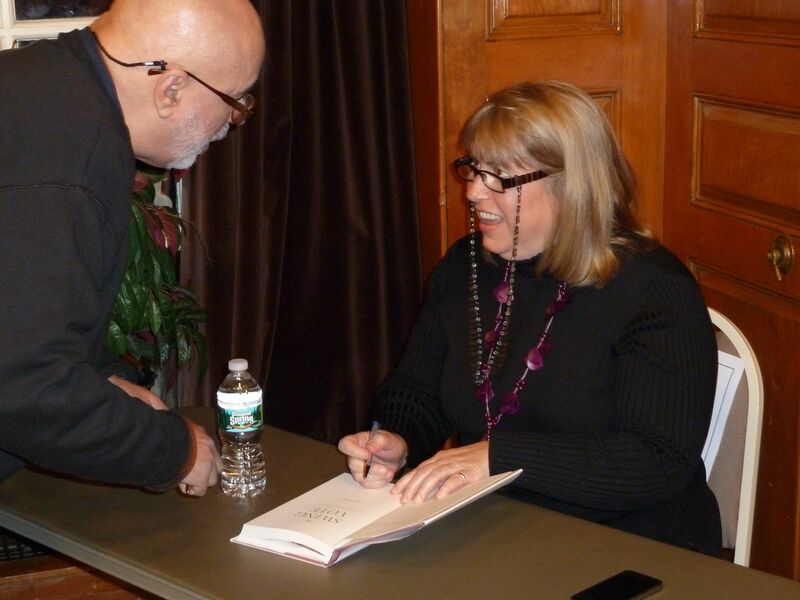 She is also the author of "The Freshmen: What Happened to the Republican Revolution?" praised by The New York Review of Books and other reviewers as a colorful, well-written and insightful analysis of what happened to the congressional Republicans of 1994. Killian explains how Gingrich and the Republicans tried but ultimately failed to change American politics. "The Freshmen" reveals the maneuvering and intrigues, the successes and failures of the historic 104th Republican Congress and is based on two years of reporting and hundreds of interviews. The book is considered the definitive work on the Class of '94 and Killian has been quoted in Time magazine, The Washington Post and Politico on this subject. 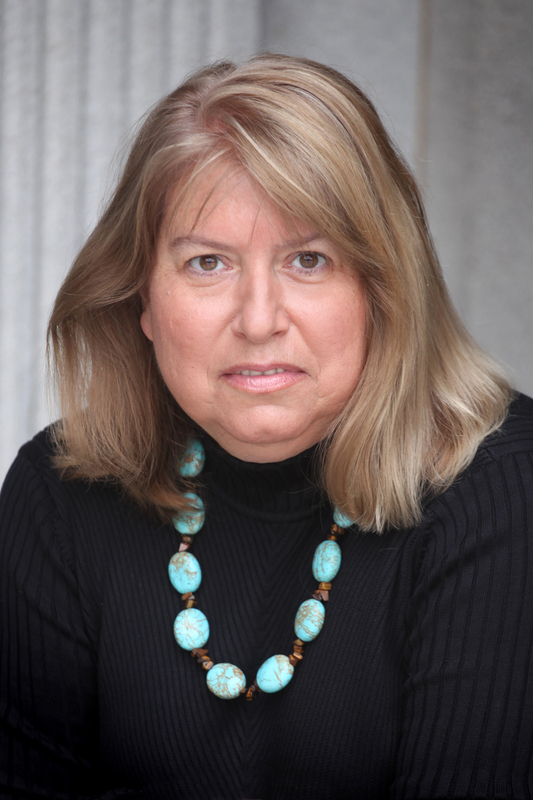 She is the creator and former director of the Boston University Washington Journalism Center and a former Boston University professor of journalism. Killian was also the senior editor of National Public Radio's "All Things Considered" where she was responsible for the editorial content of NPR's national evening news program. Prior to that, she was a reporter at "Forbes" magazine in New York and for several major daily newspapers including "The Oregonian" and for "United Press International". She has a master's degree in public administration from Harvard University’s Kennedy School of Government. Click here for more information on how to book Linda for a speech. Click here to view Linda Killian's works on Amazon.com. Click here to download a head shot of Linda Killian (8MB JPEG file). 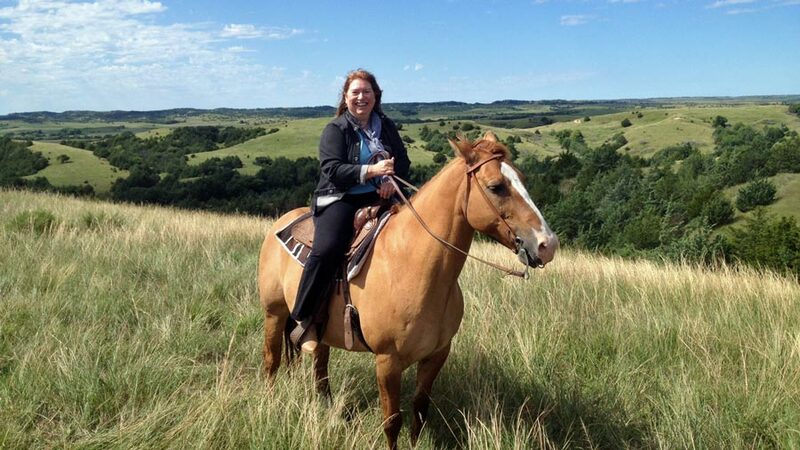 Linda Killian, riding on the central Nebraska cattle ranch of Jim Jenkins, an Independent candidate running for the U.S. Senate from Nebraska. Click here to read more about Linda's visit in the North Platte Bulletin.